@Dan Moore We have been digging deep into the code so we can work with Lockheed on producing a permanent fix which is why we have been some what radio silent. We hate updating with "We are still looking into it". We would rather give you tangible information (i.e workarounds, permanent fix date). As for the 717 Immersion, we have publicly announced it via our Instagram and Facebook page. We have plans coming up soon regarding this however, and the 717, so please stay tuned on our Facebook Page for more information! 717 Immersion: OldProp Solutions inc.
Glad you like it! Feel free to drop some screenies! @Plexi I have just now seen this post. Please submit a ticket as soon as possible, as this is not a common bug we encounter, and your system might help us not only solve the flickering displays issues, but as well as the SLI bug. Your ticket, would prove wonders for us. We look forward to your ticket. @Plexi Would you mind submitting a support ticket to we can work with you? @GerdD As stated previously, the forum is not to be considered an official means of support, it's purely there for community interaction (i.e Community Opt-In Beta/Topics/Possible Bug Reports), and while we have addressed many issues through the forum, that still doesn't override our support policy. Our staff members skim through the forums to ensure a positive atmosphere exists, and in some cases, may take it upon themselves to answer a support question via the forum. 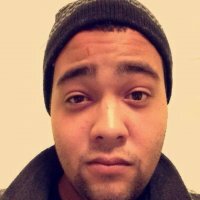 The CTD issue has actively been investigated (for over a year), and has been connected down to view switching. We have tried everything from initial debugging, to removing and isolating individual features of the aircraft to determine the cause. Unfortunately, everything we have tried on our side has come to a dead end. We have taken it a further step by consulting with Lockheed Martin to try and figure out where to go next to resolve this. This is the point we are at. While we do apologize for this, and it's not the solution, we have been working however with the community to ensure this issue will be resolved. As for the SLI bug with multiple GPU's, we worked directly with the P3D SDK when developing the 717, and their logic didn't account for multiple GPU's in the way that we needed it to. This would require a custom solution specifically for SLI, which is, and will still be, on our list of things to complete for the community. This won't change. We aren't done. The 1.1 Version of the 717 is not the final version to be seen by the community. As for issues with our systems, we ask that you submit a ticket with substantial information provided so we may then use that to better the aircraft. We have, and always will be open to the community with open arms, and ask if anyone has any issues related to any products/services, that they seek support, from our official support channels. @MD11vlieger Please submit a ticket with the account used for the 717 and I will take a look into resetting them for you! #FreshPaintFriday hasn't gone anywhere, paint shop has just been a little slow. Keep an eye out for the next one though, it's dryin! I think the OS on this model has seen it's last update. @FishermanIvan As for the "Flythemaddogx" we can't provide official support for that, but the 717 should have consistent framerates with TrueGlass. If you actually are having issues with consistency, please submit a ticket with system specs, and benchmarks in default airports with rain of course and we will be glad to look into this for you! @dimkzr My apologies. I read this as a performance issue. @FishermanIvan Is TrueGlass running on the our airplane or is it another developers? To start, usually the best way to improve performance, is the typical tone down some settings according to what your computer can handle. With that out the way, we must also identify, what aircraft your flight that's using TrueGlass, and where these benchmarks occurred (default or add-on scenery). 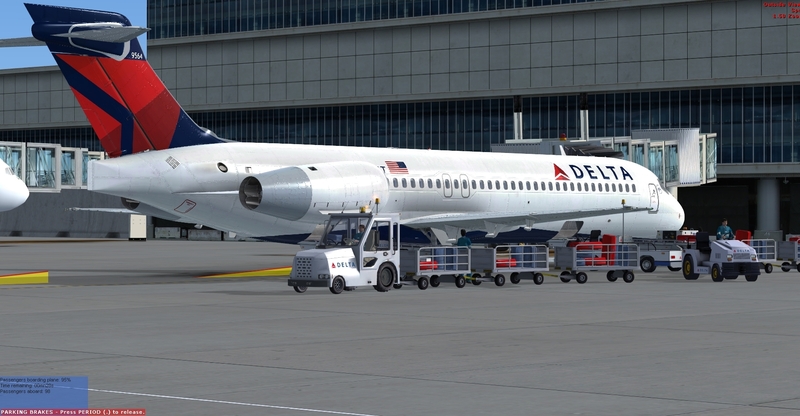 If you're experiencing low performance with the 717 and TrueGlass, you could always try reinstalling the aircraft, disable hardware rendering, and select the lower res VC textures Just my two cents. Hopefully this works. I may be misunderstanding this, but if you're talking about having full magenta on the top of the pfd, I might be able to help. The way Auto Flight can fully be engaged is by having not only weight&balance, but full route as well. Once completed on the MCDU, test your calculation by pressing, PROF, NAV, and FMS Speed. Will PACX have a career mode like FSPassengers? If by career, you mean being a pilot, then yes! Our main goal with PACX is to make you worry about one thing when it comes to the business side of things; transportation. While in the skies, you will be in command of your aircraft, and ensure your passengers arrive not only safely, but happy! Just letting you guys know we're are still aware of this and it didn't go unnoticed. We are still working with Lockheed to gather a resolution that will put an end to this. @kylian This is a known bug that's going on right now between our aircraft and the simulator. Lockheed has already addressed the issue and has a plan to mediate it in a coming update. We are still waiting for that, but for the time being, opening a second view within the cockpit is a temporary fix that will allow cycling views without causing a CTD. We will make a formal announcement when the update patching this issue comes out! @Sanpp Of course! I'm sure we can convince our copilot to give you some callouts. I'll update with more when he's ready to talk ;). Ground roll is far too quiet ...?? @njflyer, @thiagocouto@gmail.com, and @Highlander_821 This is something I've been looking into. I can assure, some more bassy/thuddy take off roll sounds are in the near future. Just doing some fine tweaking and they will definitely be out. Initially during testing TSS had sent us a sound pack that needed some things fixed/changed. This was way early on. Closer to release, a new sound pack was sent and pushed out. The sounds were night and day. So yes, it could possibly be there was more going on in the initial push of the aircraft. Hey guys, I do agree some ambience is to be added to the cockpit (i.e: wind deflecting off spoiler needs to be louder, some rattling in the cockpit, etc), but in terms of the engine sounds, those are pretty spot on in terms of frequencies. The sounds TSS provided were mastered to its counter-part. Hey Paul, This was something @HughesMDflyer4 and I were talking about. The ground roll is there BUT some nasty thuds when you hit the runway lights wouldn't hurt . Im just trying to find a sweet spot for the audio to not be too obnoxious like you're taking off in an airport that doesn't know how to maintenance their runways lol.